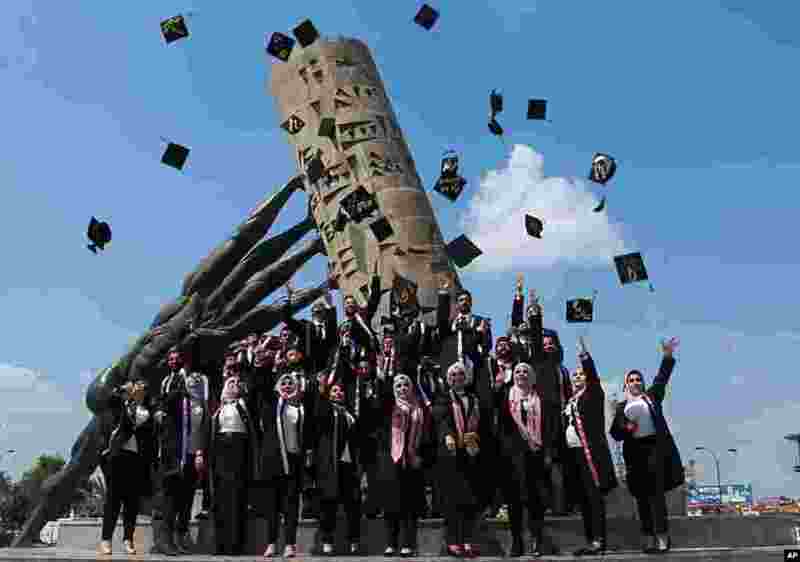 ١ University of Baghdad graduates throw their caps in the air while posing for a group photo next to the 'save Iraqi culture' monument, in Baghdad. 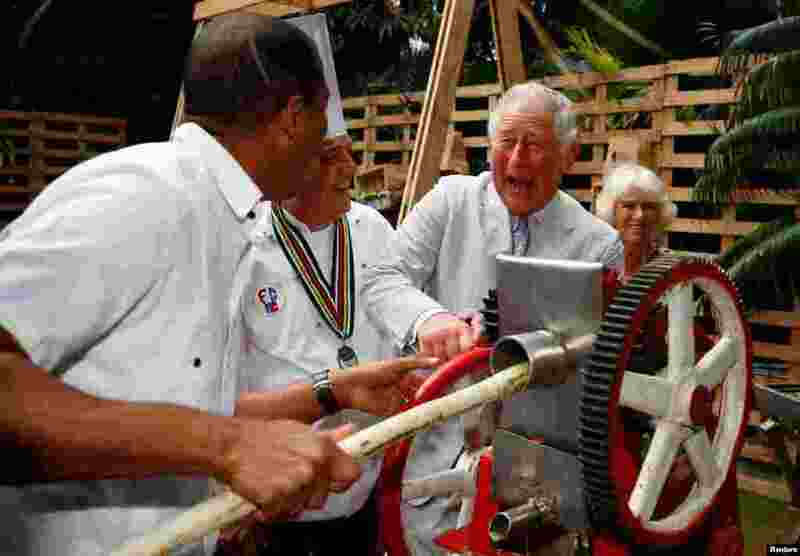 ٢ Britain's Prince Charles presses sugar cane to make juice during a visit to a paladar, a private restaurant, in Havana, Cuba. 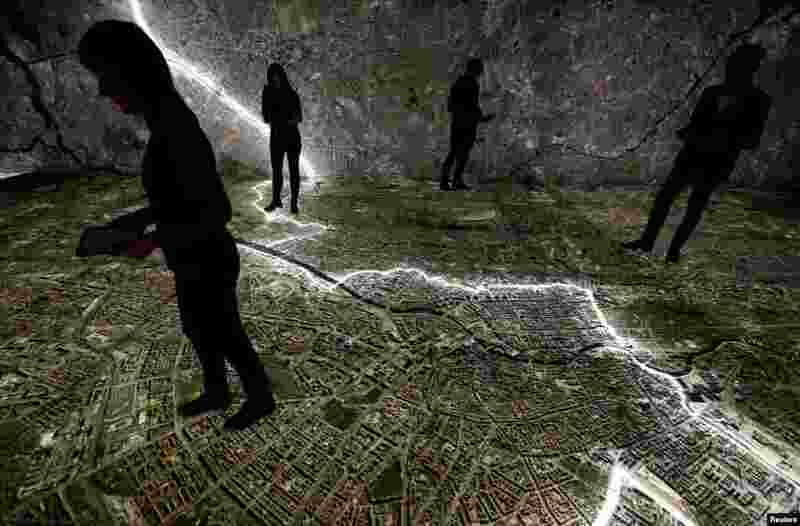 ٣ Museum staff walk with mobile devices over a giant illuminated aerial photograph of Berlin, including the marked course of the Berlin Wall and places related to the former East German Ministry for State Security (MfS), known as the Stasi, at the exhibition 'The Stasi in Berlin' inside former Stasi prison, Hohenschoenhausen, Berlin. 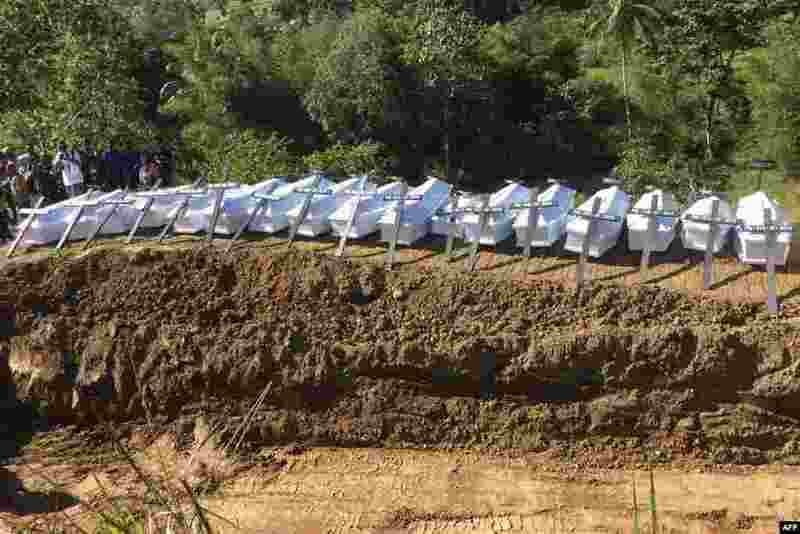 ٤ Caskets containing the remains of unidentified flash flood victims are prepared for burial in a mass grave in Sentani, Indonesia.